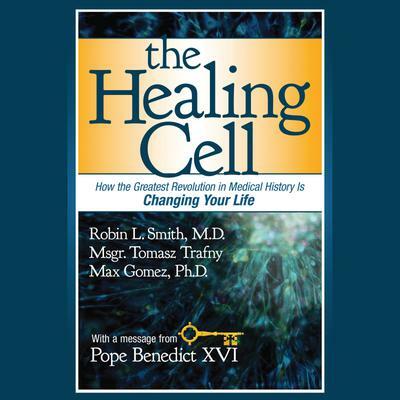 THE HEALING CELL is an easy to follow, carefully researched, and clear-eyed view of medicine many decades in the making that is now paying off with treatments that repair damaged hearts, restore sight, kill cancer, cure diabetes, heal burns, and stop the march of such degenerative diseases as Alzheimer's, multiple sclerosis, and Lou Gehrig's disease. The emotionally and intellectually stimulating stories throughout the audiobook dramatically illustrate that stem cell therapies can change the way we live our lives after being afflicted by a disease or trauma. The audiobook is the result of a unique collaboration between the Vatican's Pontifical Council for Culture and the Stem for Life Foundation. It includes a special address by His Holiness Benedict XVI, urging increased support and awareness for advancements in adult stem cell research.